Large Cottage: Punda Milia self-catering cottage. The largest cottage on Sandai Farm can sleep up to 8. The Large Self-Catering Cottage Punda Milia is situated between Aberdare Mountain Range and Mt.Kenya. The spacious and inviting self-catering cottages is situated on Sandai Farm next to the Aderdares and can sleep up to 8. 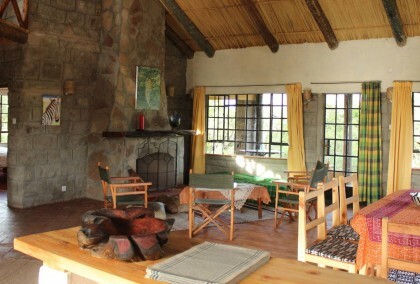 The cottages are fully equipped with everything you need for a stay in the beautiful Kenyan Highlands. For bigger groups several cottages can be rented. Sleeps 8+4.